You want to escape from the hustle, bustle and everyday problems, to hide from trouble and sorrow? Then you just need to go to the Carpathians! A walk in the autumn woods, enjoy nature and fresh air! And then all the problems and difficulties which formerly seemed global, you seem petty and ridiculous! And after returning from vacation, you will easily cope with all that you recently seemed unsolvable! Bukovel autumn - this is the most amazing and unforgettable place that will leave a lasting in your soul the most wonderful experience of communion with nature! Why autumn holiday Bukovele so necessary for all those who will overcome the difficult operating period in the winter? Yes, because it provides us with a fall of energy and vivacity for the entire winter. It is no secret that after walking in the autumn forest in the Carpathian Mountains, when we deeply inhale pure air of the forest, it increases our life potential, increases the body's resistance to disease, strengthens our immune system, contributes to better performance and health of the whole organism. Осенью отели в Буковеля предлагают посетителям умеренные цены на проживание, а это также является дополнительным стимулом для туристов, которые стремятся отдохнуть в живописных Карпатах в это время года. Отель вилла “Nikoletta” в Буковелі всегда гостеприимно открыта для гостей из разных уголков не только нашей необъятной Украины, но и далекого зарубежья. Хозяева отеля делают все, чтобы туристы ни в чем не нуждались и прекрасно провели свой отпуск в этом уютном и живописном уголке Карпат. Красоты, которые ожидают туристов на маршрутах невозможно описать словами – это надо просто один раз увидеть! You ask, and who wants to relax in the fall in the Carpathian Mountains? After all, the main holiday season long gone! It turns out there are lots of people who share your vacation for two seasons. Once - in the summer, on the beach, soak up the sun on the warm sand, enjoy the gentle sea and plenty swim! A second "mini-vacation" necessarily spend alone with Her Majesty Nature! Carpathian inhale enough air, admire the violent colors of an autumn forest, fed by positive emotions and memories. Accommodation at Villa »Nikoletta» calculated on any price category, and accommodation prices will pleasantly surprise all visitors without exception. 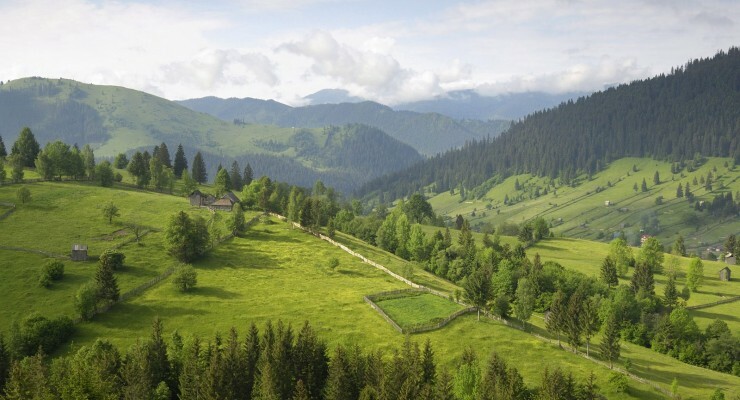 Do not miss this unique opportunity to visit the beautiful and unique beauty of the place in the Carpathian Mountains!